I love cooking. I especially love French cooking. Hiroyuki Sakai was a god to me in college and really inspired me to learn how to truly cook. So I was very happy to hear Ubisoft was bringing Gourmet Chef to America. Gourmet Chef is a game originally published as Chef in Europe and was put out by 505 Studios and developed by Creative Patterns, which itself is a French developmental studios. So you have a game about French cooking developed by French gamers and published by Ubisoft, the best known French company in gaming? Of course I said yes to reviewing this, especially as I’ll be tackling the Hell’s Kitchen and Iron Chef games later in the year. This is a wonderful collection of mini stories revolving around your nameless restaurant. You play as the nameless, faceless, speechless assistant chef to Jacques Marceau. Together with Natalie, the adorable comic relief assistant chef, the three of you help propel your restaurant to fame and most importantly, Michelin stars. The cast and crew also includes Isabelle the head waitress and a motley crew of amusing dinner guests. There’s the sweet little girl Madeline, poor henpecked Martin and his overbearing wife and creepy dog, the insidiously evil (and utterly insane) food critic Gustave de la Broche and even a character or two from other Creative Patterns games like Zoe from Fashion Designer. 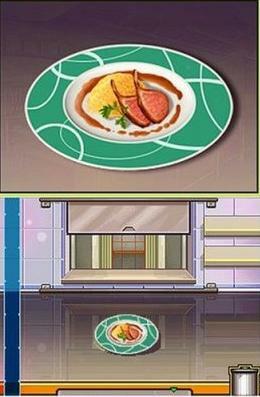 Each of the many missions in the game revolves around you cooking 1-3 dishes for a customer. There is always a story to go with the meal, and they are sometimes laugh-out-loud amusing. 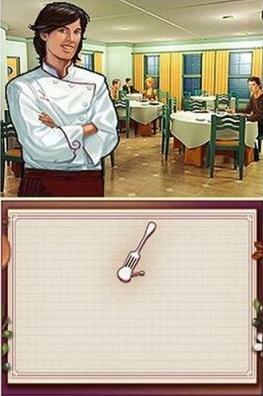 The game plays out like a charming French sitcom, and reminded me at times of the BBC show Chef. I was really quite taken with all the characters and how flesh out their personalities were, even the customers. There isn’t a large over-arching story to go with the game as it’s a collection of small tales, but I was quite impressed to see how they interlocked for one big story and how there was a great deal of continuity between the missions. Great little story being told by some very memorable characters. 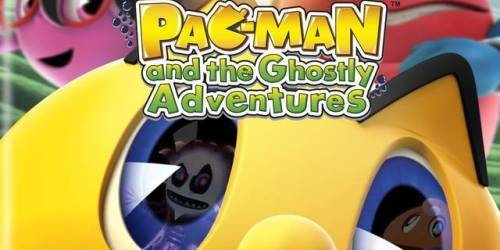 For a very under the radar title by an indie game developer, I was shocked at how good the graphics in this game were. All of the character designs are very realistic and it really helps to ground the game even when things get silly. These are portraits however, so there is no animation of the characters save for their mouths. Depending on the emotion being espoused, you’ll be given a different portrait. This is very similar to a lot JRPG’s like Shining Force. 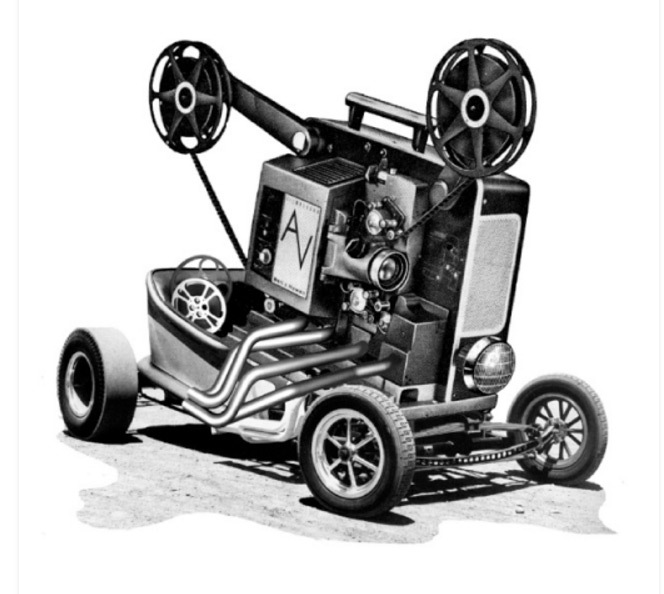 If you’re not a fan of still graphics, you might be a bit let down by this aspect. The cooking graphics are a similar method. There is no animation save for what you are doing with the DS Stylus, but you are moving so quickly, the game does appear to be animated at times. Take for example the cutting up of a crab. With each slice you make with the DS stylus, the graphics change until you have cut up all the pieces. Then it just jumps to a lump of crab meat. It’s a lot of fun and the food products and eventual plated product all look quite real (and delicious). What’s neat is that your stylus substitutes for certain things that should be on screen, like a knife or mixer or stirring spoon. It really helps make the game feel realistic and draw you in. As you can see from the screenshots in this review, the game is very stylish and keeps with the sitcom feeling I mentioned earlier. 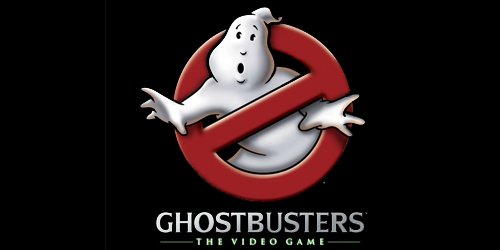 However, the game’s visuals and lack of animation will remind many of you of the adventure genre. Whether that’s a plus or minus depends on you. I personally thought the game was quite striking for a DS game and that it featured the best character models I’ve seen on the portable yet. I was really happy to see the game kept the French voice actors. Yes, that means on the RARE occasions that something is voiced, it is in French. I loved this as it really reminded me that these were FRENCH developers making a FRENCH game about FRENCH cooking. Don’t worry though, the text of the game is always in English, and no one really says more than 5-6 different words in French AT THE MOST. It’s a wonderful touch, but as one can expect from the DS’ speaker, the voices are a bit tinny and warped at times compared to what they would sound like otherwise. The music in Gourmet Chef is adequate. It’s background elevator music with a stereotypical French quality to it. There aren’t a lot of different musical tracks and you’ll hear the same ones over and over again, but trust me, due to the gameplay, you will be totally tuning out the music. More on that later. The sound effects are amazing. From the dicing of garlic to the bubbling of something gooey in a pot, noises are exactly like one would expect from well…a one person kitchen cooking a single meal for a single customer. It doesn’t sound anything like a real commercial kitchen, but that’s because there’s no loud profanity in the game. Nice job here where the focus was on the sounds of the kitchen and leaving in the francais gives a more realistic feel. The entire game is controlled with the stylus save for advancing through the dialogue via the A button. Each meal of the game starts off with ingredients on a sideboard that you pluck out with your stylus and use according to the recipe. As you complete each task, a new bit will show up on the list of things to do until finally you plate the meal. Your meal is judged in two different ways. The first is the quality of the meal. Did you season it correctly? Did you cook the meal just right instead of overdoing it or under doing it? You also lose quality points for wasting food. The second areas is time. You might think this is a bit odd, but remember, you’re cooking for customers. Haven’t you ever been ticked off when a meal is taking forever and you’ve been sitting with you glass of water for 30 minutes? Blah. Another nice throw in is that like real cooking, you’ll need to multi-task. So that meals while a sauce is simmering, you’ll need to be stirring another part of a dish or baking something in the oven to ensure your time score stays in an acceptable area. The game’s controls are very intuitive and easy to get a hold of, even if you have a bit of trouble doing multiple things at once. There are two areas where the game COULD use improving on though. The first is that the clock seems to fluctuate with how much time you have, yet the game never tells you what that actual time limit is. You merely get a bar that only occasionally shows up on screen and there are times when I cooked a dish pretty quickly and got a lower time score than when I was working slower on another dish. The other issue I have it that sometimes the menu and list of things to do updates in an odd order that isn’t in line with what you’re doing. Instead of giving you each step to do all at once, you’re only given one step first, and then a new one as you complete each previous step. This wastes time as you wait for the steps to load, and sometimes the steps are out of order from what you are doing so you have to waste more time scrolling through the steps list to find what is left to be done. This could have been implemented a lot better and at times was the bane of my cook’s existence. Controls themselves are pretty easy. Drag your stylus across an object for cutting. Twirl it in a circle for stirring. Just move it really fast repeatedly for mixing and so on. It really did feel like cooking, especially compared to say, Cooking Mama. It’s not an exact replica of actually cooking a nice French meal, but it’s close enough that people who have done it before can appreciate it, while those that have never tried might have so much fun with the game, it inspires them to go on a real life culinary adventure of their own. There are a lot of missions in the game with every five or 6 being the equivalent of a “Boss battle” as you’re trying to impress the evil food critic. Although the game is completely linear, you can go back at anytime and replay any of the missions separately in an attempt to beat your previous high score. What really makes the game worth going back to if you’re a gourmet or gourmand is the fact that every meal you make in the game is available as a REAL RECIPE. The recipes are divided into different categories for easy browsing and they are listed with a completion time, difficulty level and step by step hand holding process of how to make the dishes. When you click on a specific recipe it can be further broken down into ingredients, cooking materials and utensils needed and the steps for cooking. This is great and the game goes to great lengths to ensure anyone can cook a high quality gourmet meal. Gamers – use this game to make an incredible dish for that special someone. Only a complete moron wouldn’t be able to figure out how to cook from this. I know we’ll probably try a dish or two from the game in my household just for the fun of it. The game is a lot of fun and the ability to choose just a single unlocked mission to try again helps the replay value considerably. Yes, the story is highly enjoyable and the characters are ones I’d love to see again, but the linear nature and length of the game may drag on people not as cooking friendly as myself. There’s a lot to do with Gourmet Chef, but the replay value is more for the recipes than the playing. Balance is a tricky thing here. Because of the fact the timer seems to fluctuate without rhyme or reason, I can’t really say the game is balanced. If the timer was static or you were given an indication of how much time you have, it would fare better here. Instead you have a big green bar with sporadic clocks in pieces of the bar. The bar doesn’t slowly wind down. Instead, parts just disappear (when you can actually SEE the bar) and if a piece with a clock goes away, you lose points off your speed. 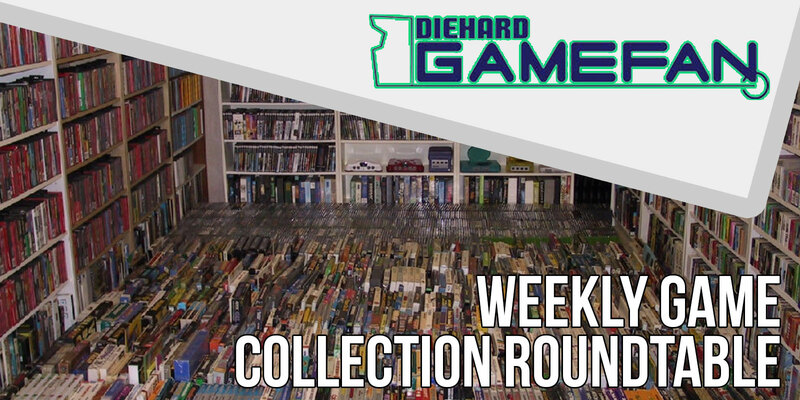 It’s odd, and it is the one area of the game that needs work. Besides that bit, the game does have a nice balance to it. Food Critic missions are a degree tougher, and the game gets harder with each passing mission. I went from A’s and B’s in the first twelve missions to the occasional C towards the end of the game. After several hours of that a night, I think I have an inkling of how Iron Chefs feel. With a nice grading scale and the best use of the touch screen I’ve seen in a long time, Gourmet Chef will present a challenge to any gamer, but remember to watch out for the wackiness of the clock. 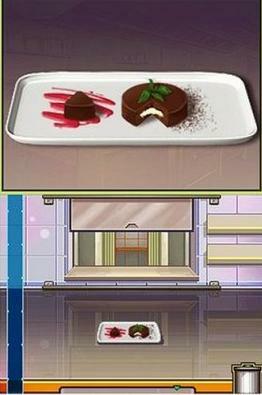 Cooking Mama may be the first DS cooking game, but Gourmet Chef is superior in every way possible. Whether it’s realism, graphics, play mechanics, or just sheer fun, this is going to be the standard bearer for the legion of cooking games coming out this year. Hell, Cooking Mama isn’t even a cooking game. It’s mini games with a cooking theme uniting them. 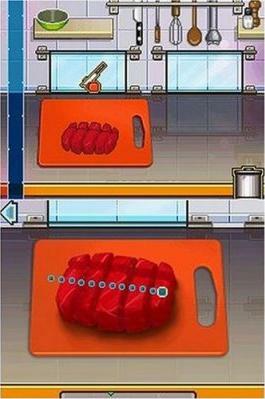 THIS is an actual game about cooking and deserves to be recognized as such. It oozes style, charm and is one of the most unique games I’ve played on the DS. If you’re looking for something that really utilizes the dual screens the way Nintendo first imagined them, you’ll want to pick this up. I really found myself sucked into this game, but I still couldn’t do more than 4 or so missions at a time. This sounds short, but remember each mission involves several recipes that you’ll be doing. So you’ll find yourself needing to take several breaks. Unless I suppose you are a short order cook. Then you’re used to making a lot of meals for hours on end. Don’t get me wrong. I really liked this game, but I just couldn’t play it for long periods of time. As it is best played in short stretches it really makes for a quality portable game. Now I realize a lot of gamers will go, “A cooking simulation? Why? Why not just really cook something?” Two reasons stand out in my mind. 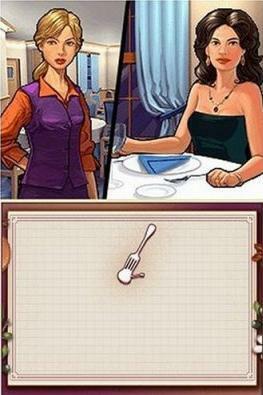 The first is an entertaining story, while the second is that this game teaches you French cuisine. How many of you cook French dishes regularly. Let’s be honest. How many American have even eaten French food? So I’d like to think this immersion in French culture is more a turn-on then a turn off, but I have a feeling the opposite is true. This is definitely a niche game. It’s received little to no press and I didn’t even know it existed until Bebito told me it was on the way for review purposes. This is why it’s so important to search out the indy publishers or the lesser known titles. A lot of the so-called A titles are mediocre games with a large ad budget, causing you to miss the true quality games that are out there that need every sale they can get. The majority of gamers probably won’t even so much as touch this, but I know those that do will have a lot of fun with it because the game truly simulates a frantic cooking environment. Highest possible marks here. This is a game that you LEARN something from. You walk away from this gamer smarter as you end up learning how to cook seventy different dishes. How awesome is that. Cooking is a skill everyone should have, and Gourmet Chef shows you how rewarding (and difficult) cooking can be. It’s a great little game by a tiny French Developer that put their passion and heart into their work, and the end result truly reflects that. Any game that makes you smarter for having played it, or that gives you the impetus to stop staring at a screen all day and do something else, gets top marks from me. Gourmet Chef does both. 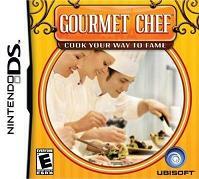 Gourmet Chef is a highly enjoyable game that will no doubt remain a cornerstone in my DS collection. IS it for every? No. It’s really not. For those of you who enjoy watching Anthony Bourdain, Ming Tsai, the REAL Iron Chef and not that crap they show on the Food Network, this is the game for you. It does a nice job of showing how to cook and what all being a chef entails. If you’re looking for a new DS title to pick up, Gourmet Chef is solid title with no real flaws. 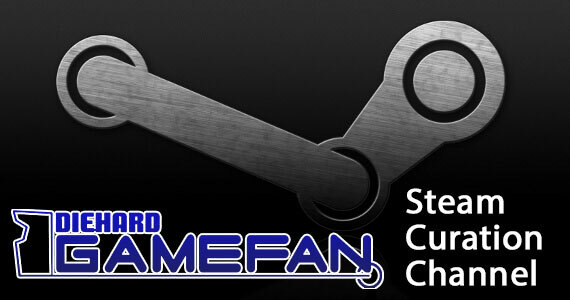 Will it be your most prized title ever? Probably not. Will it be a game you’ll be glad to have played. It certainly will. AHHHHH!!!! I’m going nuts, my blood pressure is rising. No matter what I cannot get past mission 9. I can’t take it anymore!! !